Nothing beats a good experiment with a pile of new beauty products. 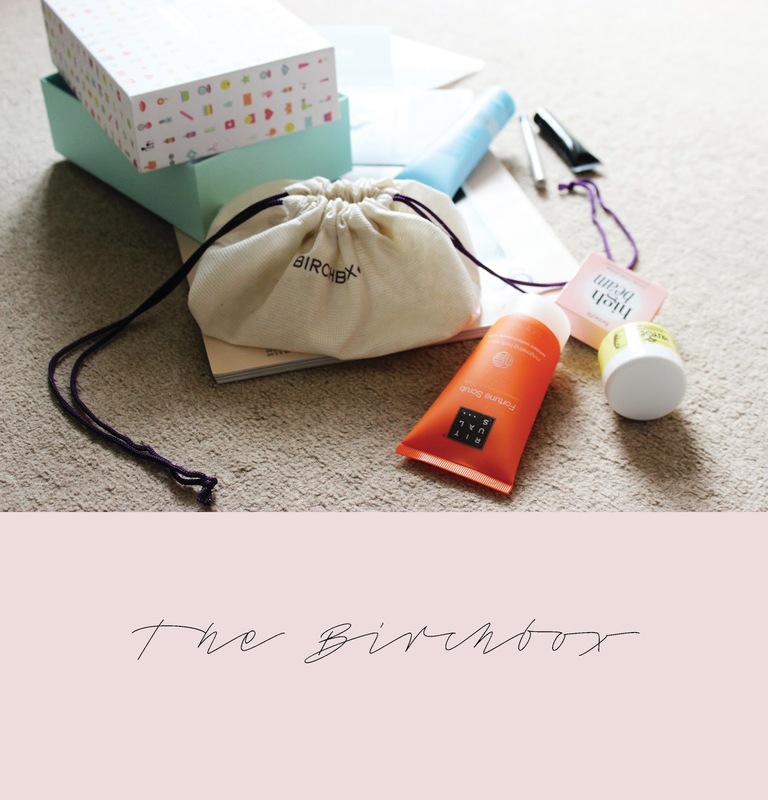 A few years back I dabbled with the 'Beauty Box' thing and was rather unimpressed. Then recently I was sat at my desk working on a not-so-exciting document on a dreary afternoon when a parcel arrived for a colleague. It came in the form of a small box, which when opened contained a beautifully printed Birchbox filled with goodies. Well it looked rather good! So I joined, and I have not been disappointed. Granted it is a small extravagance, however at just £12 including delivery it is only the price of a couple of magazines on the way to work. Each month you get 5 product samples to try which you can steer by filling in details about your skin and hair type on the Birchbox website. The samples are of mixed sizes and there were some brands and products that I hadn't heard of. This month I was a big fan of a dark violet Laura Mercier eyeliner which is great for a full 70s flick. Also the Huygens Paris exfoliator is completely brilliant - I will be buying the full size from the Birchbox site once I have consumed the sample. The September box is looking pretty good. If you too are a beauty nut and fancy a monthly treat landing on your desk or too come home to each month then hop over to the website and sign up, just like i did.